John Mark Keyes is a sessional professor at the Faculty of Law, University of Ottawa, teaching mainly in the field of public law and legislation. He is also an instructor with Athabasca University in its Post-Baccalaureate Diploma in Legislative Drafting Program. He has published over 25 academic legal articles and a monograph, Executive Legislation, now in its second edition (Lexis Nexis, 2010). He graduated from the Faculty of Law at the University of Toronto and was called to the Bar of Ontario in 1981. He obtained a Diploma in Legislative Drafting in 1983 from the University of Ottawa and an LL.M from the same University in 1985. Professor Keyes is a member of the Board of the Canadian Institute for the Administration of Justice (CIAJ) and chairs the organizing committee for its bi-annual drafting conferences. He is also the treasurer of the Commonwealth Association of Legislative Counsel (CALC) and the editor of its journal, the Loophole. His pursuits extend as well beyond the legal world into community theatre as the president of the Ottawa Little Theatre from 2011-2017. 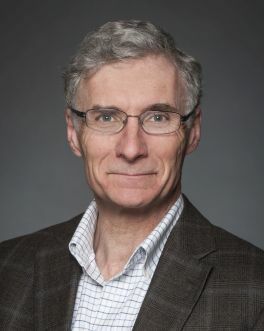 Professor Keyes has also worked in the Department of Justice (Canada), first in the Privy Council Office Section examining draft regulations, then moving to the Legislation Section to draft government bills. From 1999, he worked in various managerial positions in the Legislative Services Branch and was the Chief Legislative Counsel (Assistant Deputy Minister Responsible for Legislative Services) from 2005 until 2013. He was also the departmental champion for Sustainable Development, the co-champion for Official Languages and the co-chair of the Justice Workplace Charitable Campaign. Professor Keyes’s awards include the Queen’s Golden Jubilee Medal for service in Government and to the community (2002), the Queen's Diamond Jubilee Medal for significant contributions and achievements by Canadians (2013) and the President’s Award of the Canadian Institute for the Administration of Justice for volunteer service (2016).